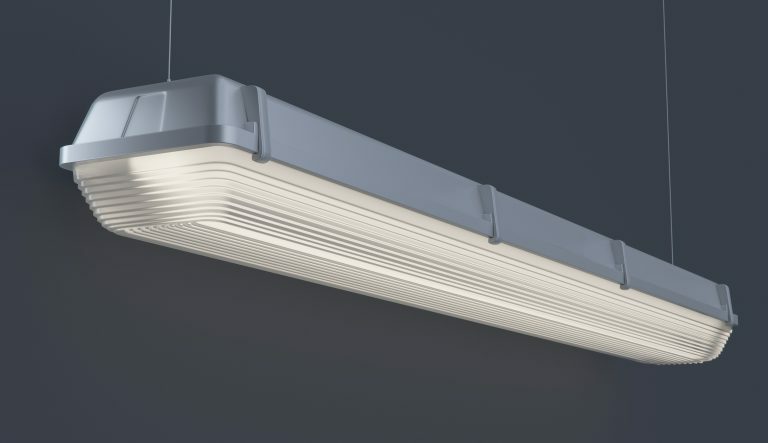 Surface mounted, vapor proof luminaire. For use in indoor applications where an enclosed and gasketed fixture is required. Available in 2′, 4′ and 8′ lengths.